This event will be running from the 20th October 2010 till the 15th January 2011, so plenty of time to get creative! This will be our 2nd Christmas running Popcorn Paradise Animal Rescue. 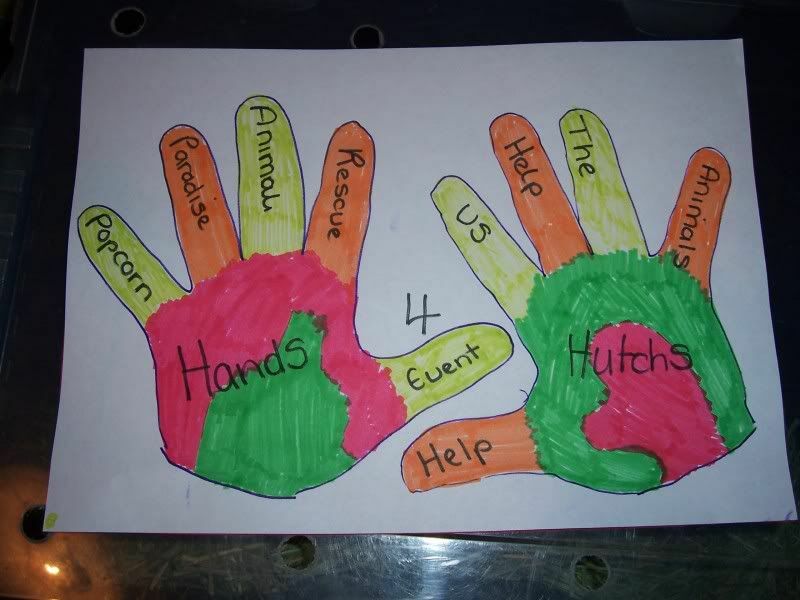 The event this Christmas is called "Hands for Hutches" We are aiming to raise as much money as we possibly can to make this Christmas a very special one for the animals who will spend Christmas with us at Popcorn Paradise Animal Rescue. The money raised this Christmas will be put towards building 6ft cages for the rescue. The money will go directly into building cages for our animals within the rescue.We need to raise £5,250 to make all the cages that we can fit in around the walls. It costs around £100 for the materials to build one cage, it then costs a further £150 to furnish the cage with cage liners for the Guinea Pigs which makes cage cleaning easier for me. So here is what you can do to help our animals. 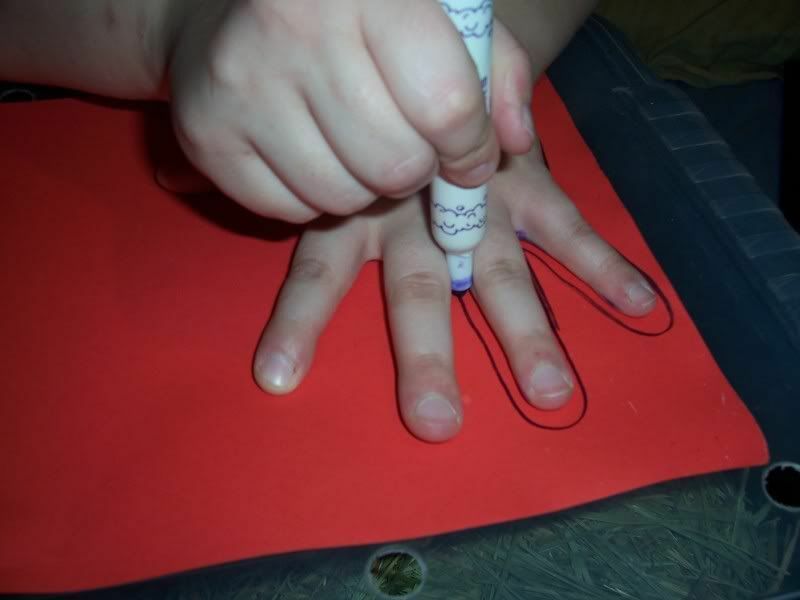 The idea is to draw around your hand on a peice of paper and fill it with either 10p, 20p, 50p, £1 or £2 coins. 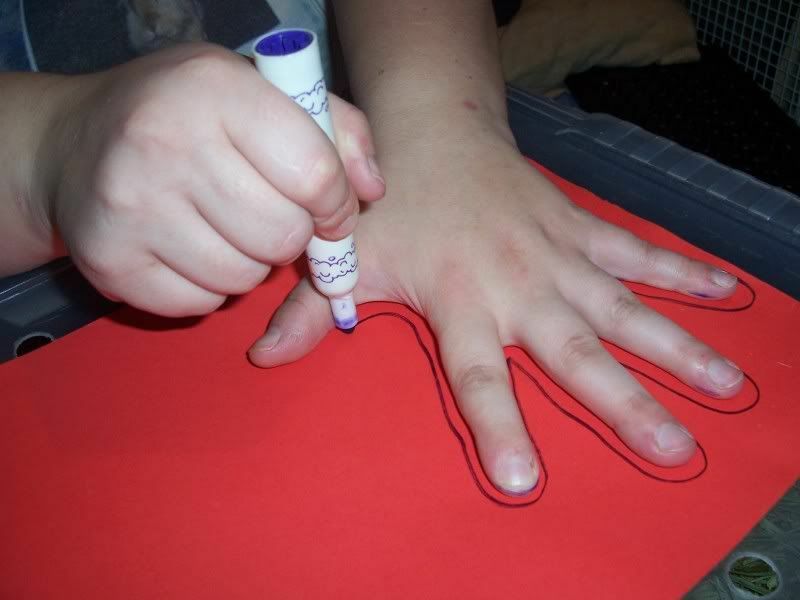 You can then colour in your hand with any design you want and send it to us along with whatever money you could fit into your picture. You can of course enter as many hands as you wish, its all for a good cause after all. 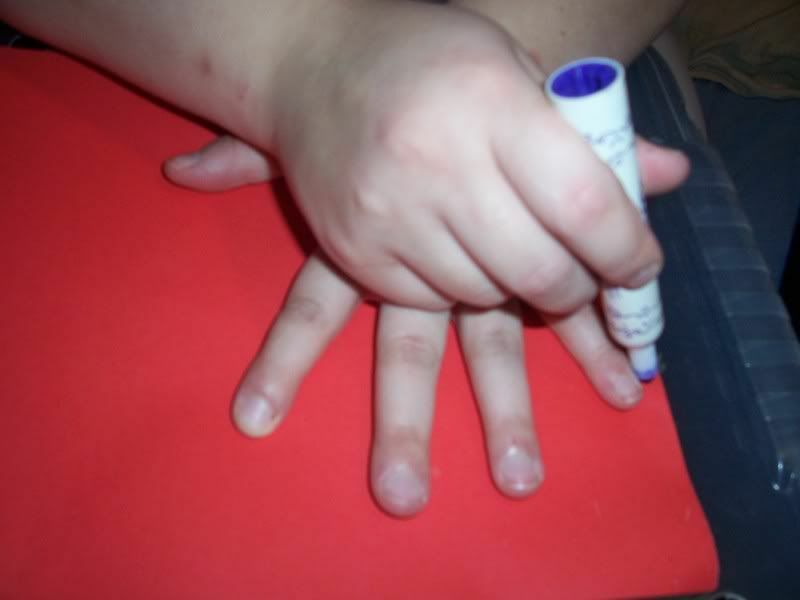 Just to give you more of an insight as to what to do, here is me demonstrating. Who can help raise money? This is a great event to help get your children and other members of your family involved in, and it also helps to raise awareness of our animal rescue and what we do. What do you get from helping Popcorn Paradise Animal Rescue, this Christmas? Not only will you get the warm fuzzy feeling in your tummy and the sheer joy from helping an animal in need, you will also get a chance to have your picture displayed on our website for all to see! We will choose the 10 best pictures and display them on our events page for as long as the site is running (forever hopefully). We will choose 2 pictures from each age group, so please make sure you add your names and ages! 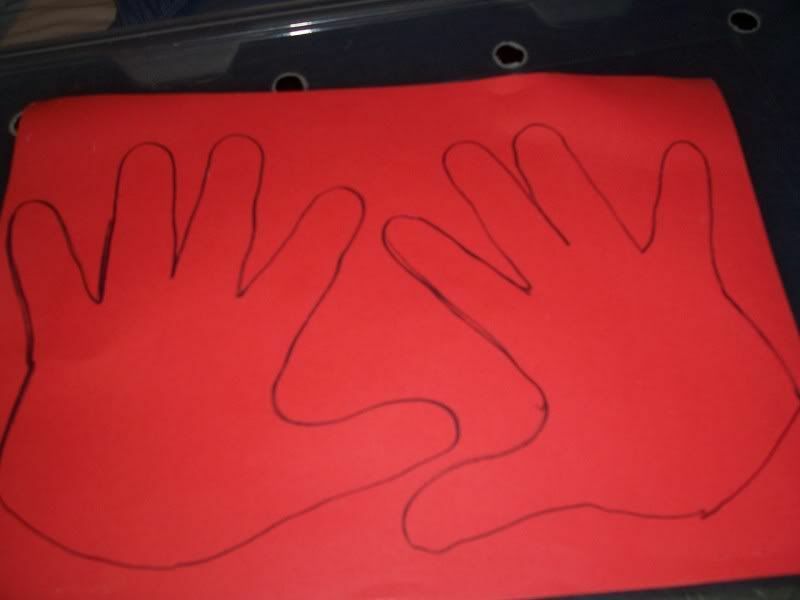 0-2 Yes you can do your babys hand prints too! 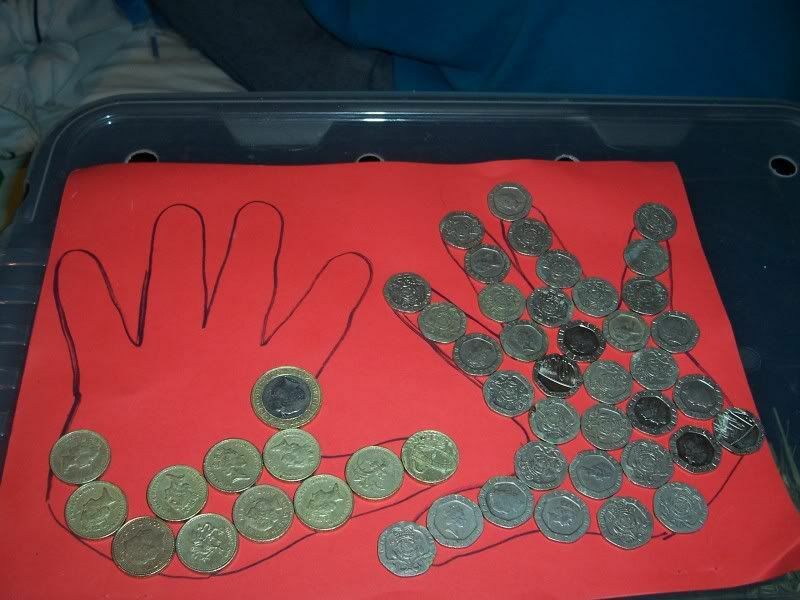 Ideally we ask you to count the money that fits into your hand and send us the money via paypal/bank transfer as this is safer and more eco friendly, you can then email me your picture and this will be saved and put into a folder on my computer ready for the 15th of january. Please send donations via paypal, making the payment to novakay2000@hotmail.co.uk Please select personal and gift. How ever if you still wish to donate via post then we do accept cheque's. 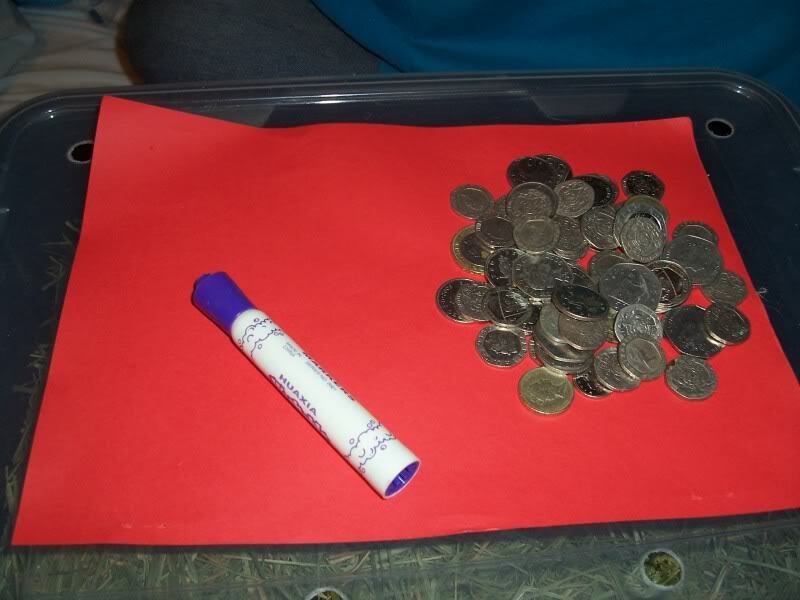 We do ask that you try to conseal your donation if you send loose change, by wrapping the money into a tight bag and then using a padded envelope. for a secure postal address to send the pictures and donations to.